Hurricanes Super Rugby winning captain Dane Coles says he has a good chance of playing in the Rugby Championship – Bledisloe Cup opening match against Australia in Sydney on August 20. Coles was injured in the Super Rugby Quarter final against the Sharks and missed the Super Rugby Semi-final. He returned to the team for the Super Rugby final. 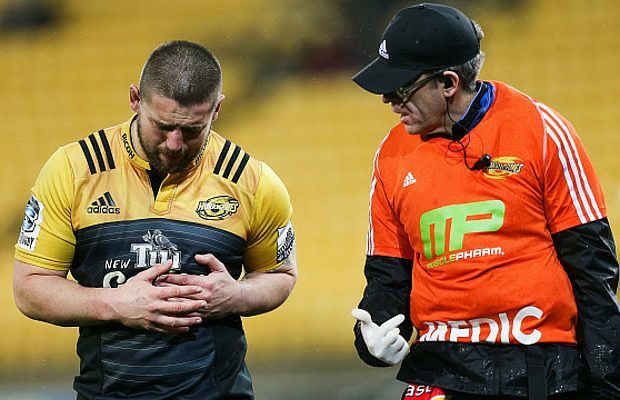 While Coles started the Super Rugby final he left the field in the second half in agony after appearing to re-injure his ribs. Courageously he came back on as a blood bin replacement for Ricky Riccitelli and played through the pain for a brief period in the second half. Coles had clearly not fully recovered from his rib injury so while he is hoping to play in the Rugby Championship – Bledisloe Cup opener the All Blacks medical staff may insist on giving him more time. Speaking at the Hurricanes victory parade in Wellington Coles said that when he joins the All Blacks camp on Thursday his goal will be to play in the tournament opener next Saturday. “I’ll get out there, get assessed by the medical staff and see where I’m at and hopefully give myself a chance to be selected next week for the Bledisloe,” Coles told Stuff.